Survey input needed from metrology professionals. It's time to find out how your compensation compares to others in the calibration and metrology industry. Available to U.S. respondents only. Subject to Official Rules. The 5522A Multi-Product Calibrator addresses a wide calibration workload and comes with internal and external protection features that protect it against damage and make it easier to transport for on-site or mobile calibration. 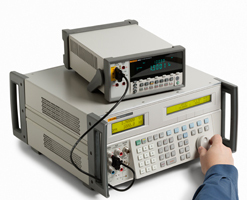 In this video, Fluke Calibration metrologist Chad Dodds shows you how a 96270A RF Reference Source with MET/CAL Calibration Management Software enables you to calibrate an Agilent E4440A Spectrum Analyzer. 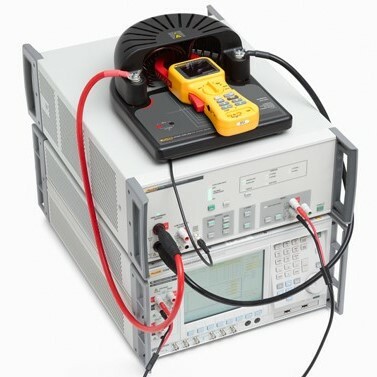 The Digital Clamp Meter is one of the most widely used electrical measurement instruments and provides electrical traceability to many industrial users.